Place your keys under the protection of the infamous Ezio Auditore! 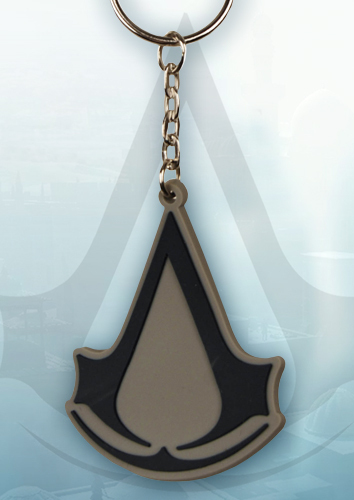 This neat keychain from the hit video game Assassin’s Creed features the assassin’s insignia in flexible rubber. Ready to attach to car or house keys! Rubber symbol measures about 2.25 inches tall. Brand New Portal Items Coming Up In 2012! Shipping This Week – Restocks of the Ultimate Jungle Hunter Predator! From Marvel Studios’ upcoming film Avengers: Endgame, this Captain America Head Knocker stands over 8” tall with bobbling head. It’s cast in resin and then hand painted for fantastic detail, down to the themed base. Comes in collectible matte finish packaging with spot gloss.